Connected cars can be defined on the basis of their access to wide range of sensors and internet connectivity that are able to sense physical environment and can interact with other machines or entities. 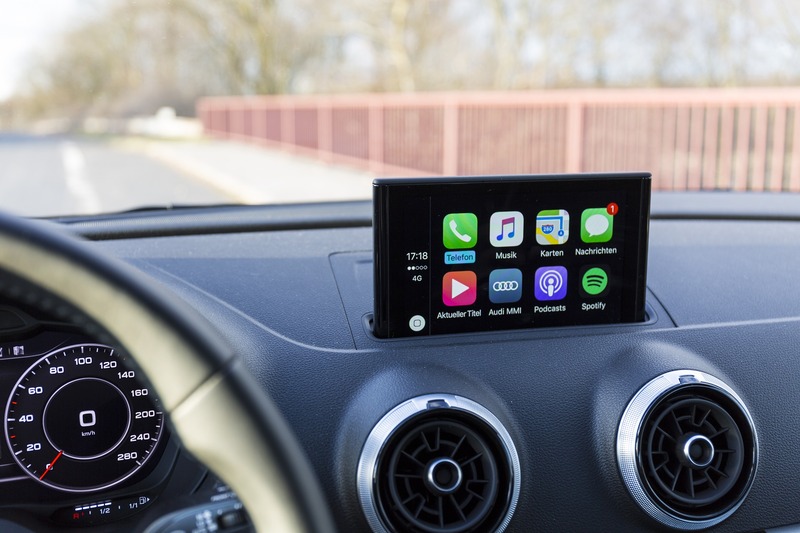 Rapid advancement in telecommunication and connectivity solutions are driving the growth of connected vehicles market in developed countries. Also, user friendly interface and enhanced driving experience offered by connected vehicle service providers is likely to drive the growth of vehicle connectivity services market. Introduction of favorable laws & regulations related to encourage the adoption of connected cars across numerous regions further boost the demand for connected cars. North America is considerably mature market in terms of adopting new technology and was the first region for the adoption of connected vehicle technology. European parliament implements the regulation mandating E-call systems in vehicles that ensures the passengers safety and estimated that it will save more than 2,500 lives on road. These initiatives and favorable regulations further increase the number of connected vehicles on roads which further create a huge demand for the connected vehicle services. Moreover, countries such as Russia and Brazil also looking forward to mandate such security and connectivity feature in transportation sector. These factors are anticipated to showcase a tremendous growth of connected cars market in such regions. Various technological enhancements in network technologies such introduction of 3G and 4G/LTE are implemented in cars for connectivity. On the other hand, digitization across the globe and introduction of autonomous vehicles in developed countries are the key factors which are helping the vehicle connectivity services to grow exponentially. However, rising concerns regarding the privacy and hacking of systems is one of the factors which are limiting the growth of vehicle connectivity services market. Moreover, existence of some technical glitches related to telecommunication such as dearth of cellular coverage and poor connectivity services are the two major growth restraining factors for vehicle connectivity services market. Growing concerns of car owners towards passenger safety in vehicles and stringent automotive regulations are some of the factors fueling demand of vehicle connectivity services. European Union and Russia mandates the new vehicles to be equipped with systems that are able to contact emergency services in case of any accident or collisions. These embedded systems provide advantages related to transfer of information of collision and contact emergency services. On the other hand, Brazil, also took the initiative to mandate the implementation of tracking systems that will help to locate the car remotely. These factors are expected to boost the growth vehicle connectivity services market across the globe. Additionally, the advancement in connectivity services and huge base of smart phone users in developing and developed countries further creates huge opportunity for the vehicle connectivity service providers to introduce advanced vehicle connectivity services. By 2018, it is estimated that more than 20 million cars will be sold fitted with smart phone integration systems across the globe. Advanced electric vehicles now typically manufactured with embedded systems to alert the drivers about nearby charging stations and allow manufacturers to monitor cars performance. According to our study, shipments of connected electric vehicles will rise to 1.30 million by 2018 and it will cross the 2.45 million by the end of 2020. However, there are some uncertainty can be seen in the forecast years related to connected cars due to technical and governmental regulations. Moreover, rising concerns of privacy/hacking of network connected devices poses the major challenge for the connected vehicle service provider. 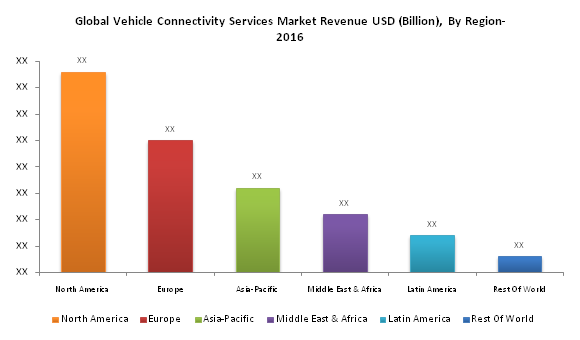 Moreover, high cost of connectivity services for vehicles is one of the key restraints for vehicle connectivity services market. The global vehicle connectivity services market reached for USD 21.7 billion in 2015 and expected to reach USD 86.5 billion by the end of forecast period i.e. 2024. Further the market is anticipated to expand at compound annual growth rate of 18.8% over the forecast period i.e. 2016-2024. North-America dominates the global vehicle connectivity services market as a result of active adoption of Internet of Things (IoT) and advanced technology. Europe shares largest market share after North-America. Asia-Pacific is anticipated to witness robust growth during the forecast period owing to rising sales of passenger vehicles in the region. One of the largest automotive manufacturing industry in China, Japan and other countries is one of the major factors which help the Asia-Pacific region to foster the demand for vehicle connectivity services market. By segmentation, In-vehicle services such as web based entertainment and traffic information services is estimated to witness major growth from USD 7.0 billion in 2016 to 24.5 billion by the end of the forecast period i.e. 2024.